I decided to make a whole page devoted to this fascinating subject. Ever since I met Turid Rugaas almost 20 years ago, I was aware of canines using these many behaviors to diffuse the intensity of a situation. I still find it so fascinating to watch a group of dogs interact, as they use these signals almost constantly as they communicate to one another. It really is a language of the dog! To get you started, here is a link to the original website. I highly recommend reading all you can on this fascinating topic. Calming signals include yawning, lip licking or tongue flicking, head turning, walking in a curve instead of directly toward, raising a paw, and other behaviors a canine may use to calm itself or others in a situation. When you understand these behaviors and how they are used, it will open a whole new world of communication between you and your dogs. I also want to add some photos here that will illustrate various calming signals. 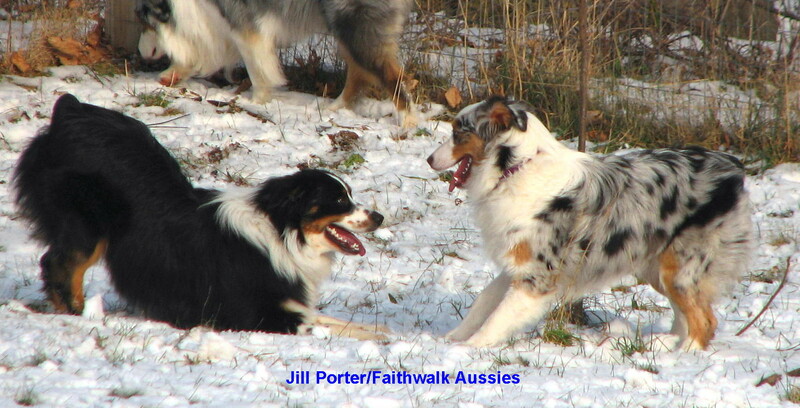 The photos were all taken by me so I know the context in which the interactions occur, as well as the dogs involved. After you read the articles in the links above, and spending some time studying these pictures, I urge you to spend some time watching your dog, both as he interacts with other dogs as well as other aspects of his life. You may be amazed at how often the dog uses these signals, even to calm his human family! If you are training the dog, he may use them on you if he feels pushed too hard, or during a visit to the vet or groomer, or even a walk around the neighborhood. I will add more photos as I can. Here is one of the most common calming signals, licking the lips. A dog may also do a more subtle tongue flick, so fast you barely see it. It seems to be the most common signal used most dogs I have observed. If you have your dog in a situation where he is doing a lot of licking of lips or flicking out his tongue, he is stressed and is trying to tell you. Being an observant owner can go a long way when working with dogs. 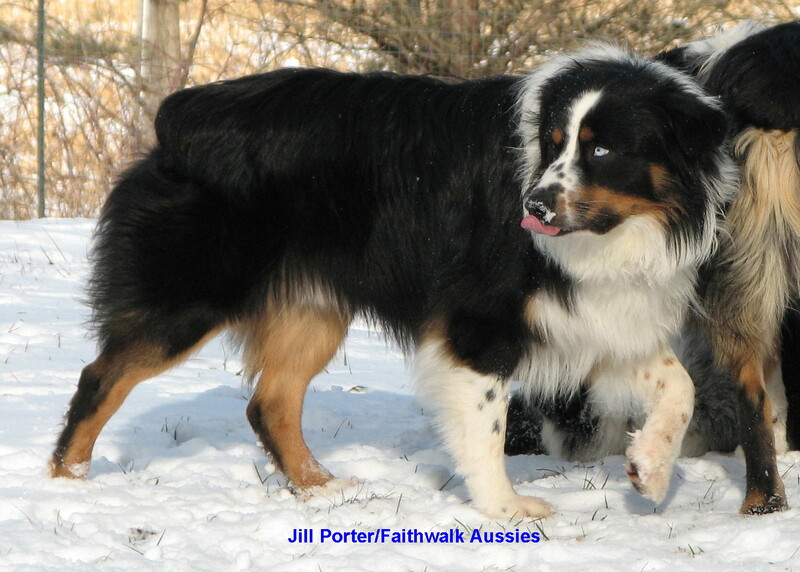 Just for fun, try to count tongue flicks when a dog is in an active situation, either in training or interacting with another dog. 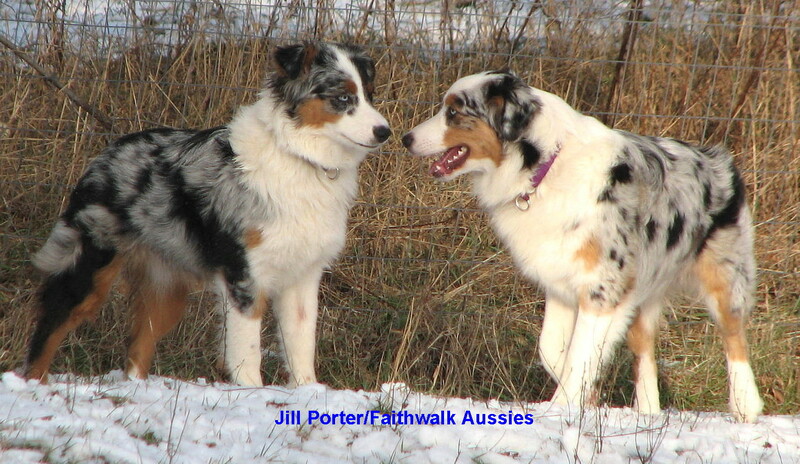 Here is a dog using the sideways approach to appease the dog on the left, who is being assertive. This dog is using a combination of calming signals, including a bow, freeze and he's starting to raise one paw. He is even making the puppy face with ears back and round eyes. He is doing this in reaction the the dog on the left staring and approaching in an assertive manner. 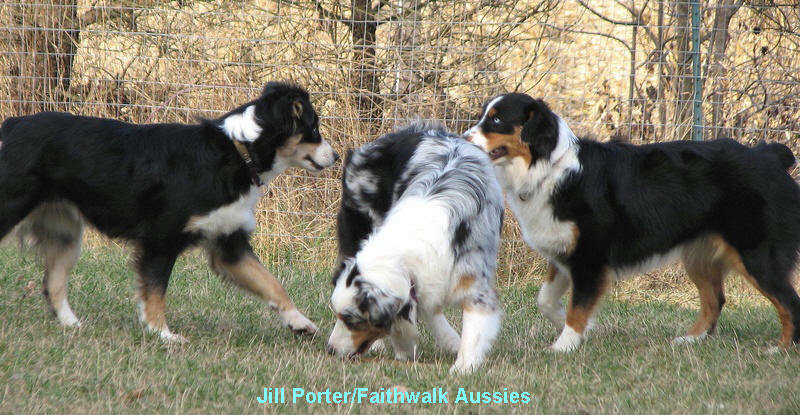 In this picture, the female on left is using an assertive posture to approach the other two dogs, staring at the one on the far right. The one in the center is crouching down, sniffing, standing sideways and turning her head away, all in an effort to diffuse the tension. The one on the right is raising her paw, also in response to the approach of the dominant female on the left. In this picture, the dog on the left is bowing at the dog on the right. This can help put an unsure dog at ease and is often seen when dogs play. 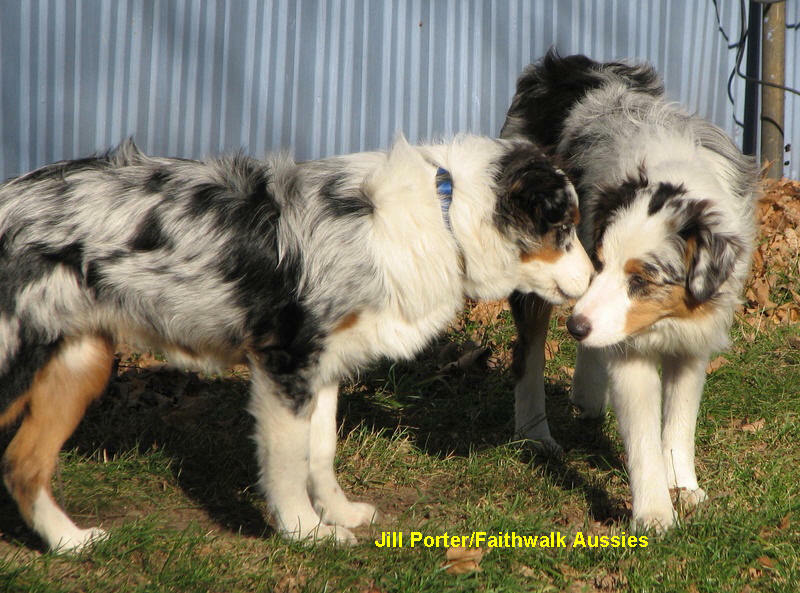 Here are two dogs sniffing. 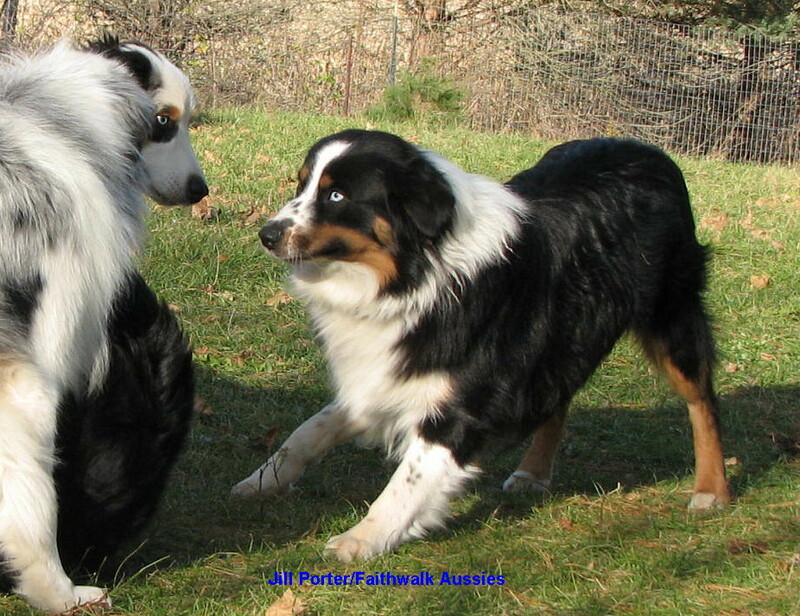 Many times dogs will do this when they first meet, or if they are stressed by a situation. Here are two females trying to work out rank order. The one on the left was being a bit pushy and dominant, but here she used the "freeze" to halt the interaction for a moment. The female on the right is using a softer expression with ears back, to diffuse tension. She is also approaching sideways. As the interaction progressed, the female on the right used a "sit" to calm the female on the left, who was still being pushy. Notice the sitting dog's ears too, they are back and her face is relaxed, while the one the left has her ears a bit more forward and the corners of her mouth are also more forward, in an assertive expression. 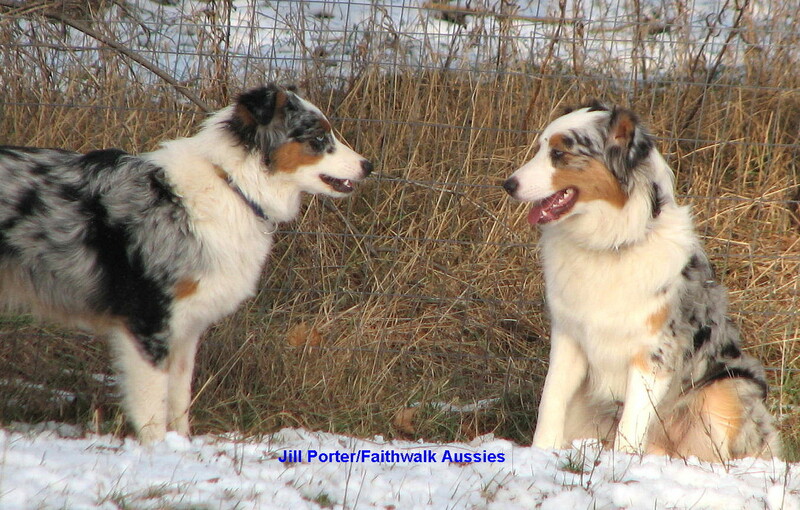 The dog on the right is using a "head turn" in response to the stare of the dog on the far left. 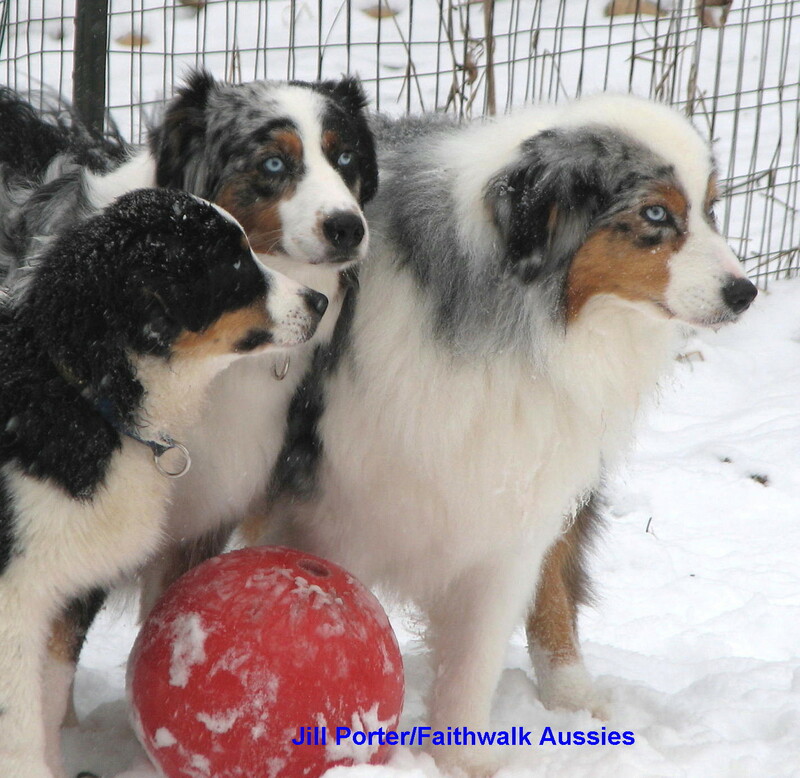 They are negotiating possession of the red ball. 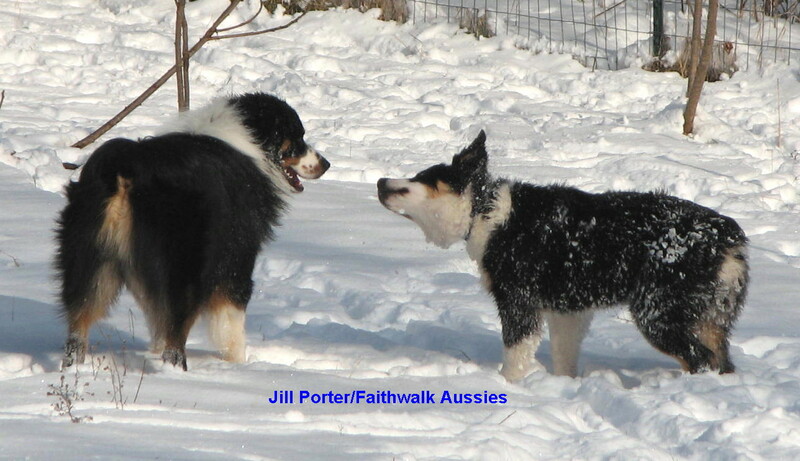 The older dog on the right had it but the younger one on the left wants to take over. The one in the middle is somewhat neutral in this interaction. Her gaze is soft and unfocused, as if she's staring off in the distance. Even that is noteworthy as it is a behavior a person being threatened by a dog can use. Looking off into the distance instead of staring at the dog can help diffuse aggression. Staring directly at the dog will often escalate the situation. While it's not specifically mentioned by Turid in her writing, I believe dogs will also "shake off" as a calming signal, or a sort of time out. 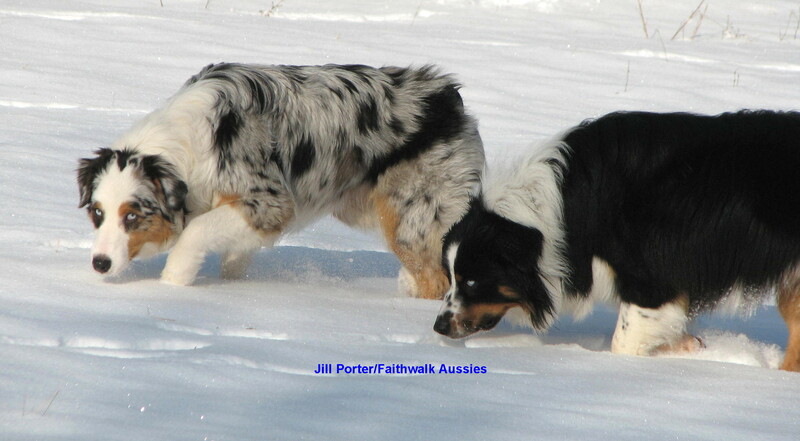 In this picture the dogs has been chasing and wrestling in the snow, and the one on the right stopped to shake off. It caused the one on the left to pause. I have also seen dogs do it at the end of an interaction, either as a signal the interaction is over, or maybe to calm themselves and change the subject.